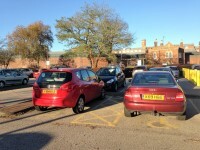 You are on Hospital Parking (Outpatients Blue Badge Car Park and Drop off Point). Skip to the next section. 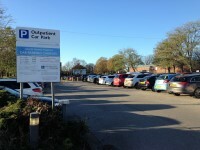 The car park is located opposite Accident and Emergency, next to the main outpatients car park. 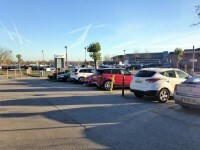 There is/are 30 designated Blue Badge parking bay(s) within the hospital car park. 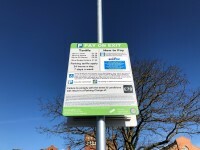 The dimensions of the designated Blue Badge parking bay(s) surveyed are 350cm x 500cm (11ft 6in x 16ft 5in). The drop-off point is located outside the Outpatients Department entrance. 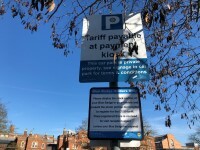 Payment signs are located at the entrance to the car park and at the pedestrian access point. 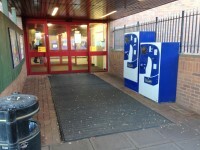 Payment machines are located outside the Main Outpatients entrance. 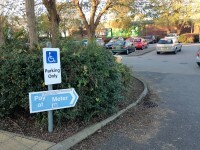 The nearest designated Blue Badge parking bay is approximately 85m (92yd 2ft) from the Outpatients Department entrance. 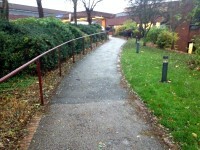 The footpath leading up to the Outpatients Department entrance from the car park has a steep gradient. The pavement running alongside the access road has an easier gradient. 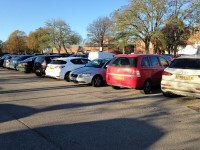 You are on Hospital Parking (Outpatients Car Park). Skip to the next section. 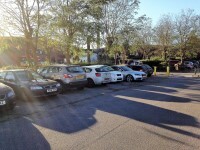 The car park is located opposite Accident and Emergency, to the right as you enter the site from Greetwell Road. 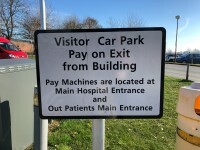 Payment signs are located at the entrance to the car park and at the payment machines in the hospital building. 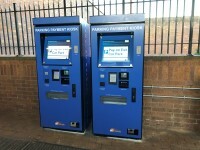 Payment machines are located at the front of the car park. Payment machines are located in a shelter outside the Main Entrance and outside the Main Outpatients entrance on Level 3 ?. 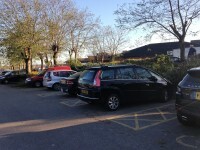 It is possible to drop-off outside the Outpatients Entrance. 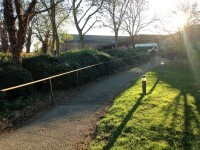 This bypasses the sloped paths between the car park and the entrance. You are on Getting To (Ambulance Transport). Skip to the next section. 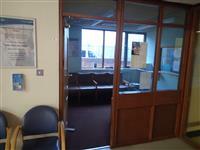 Ambulance Transport is/are located in the outpatients reception area. 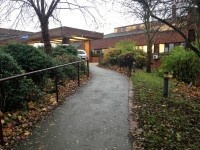 Access to Ambulance Transport is via the outpatients main entrance. 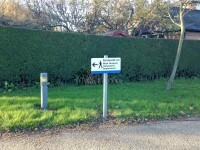 Enter via the main outpatients entrance and turn left. Ambulance Transport is on the left. There is step free access to Ambulance Transport. 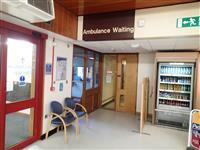 Ambulance Transport is approximately 5m from the main outpatients entrance. 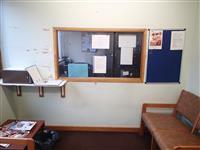 You are on Outside Access (Outpatients Entrance). Skip to the next section. This information is for the entrance located to the right of the Accident and Emergency entrance. The width of the door opening is 144cm. 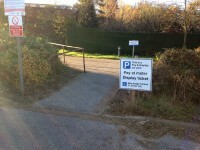 The ramp/slope is located on the footpath leading to the entrance from the Outpatients car parks and Greetwell Road. 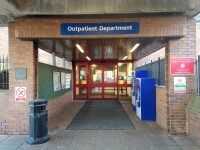 The Outpatients Entrance gives access to Level 3 of the hospital. 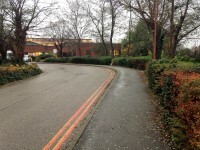 The pavement that runs alongside the vehicular access road between the Outpatients car parks and the drop-off area has an easier slope than the footpath but is longer (as shown in Photograph 5). This information is for the entrance located to the right on entering the main outpatients entrance on level 3. The width of the door opening is 76cm. The reception desk is located to the right on entering the waiting area. 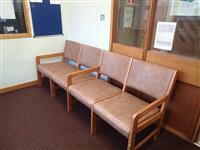 The waiting room / area is approximately 1m from the department entrance. 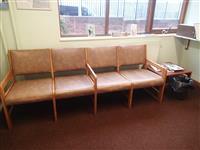 Outpatients Entrance link (new tab) - click here.